Shazwani Hamid's Blog: Class has Begun! This is the second week for this semester. But most of my lectures only gonna start this week. Well, actually some of my classes already begun on the first week.. Only 2 classes to be exact. 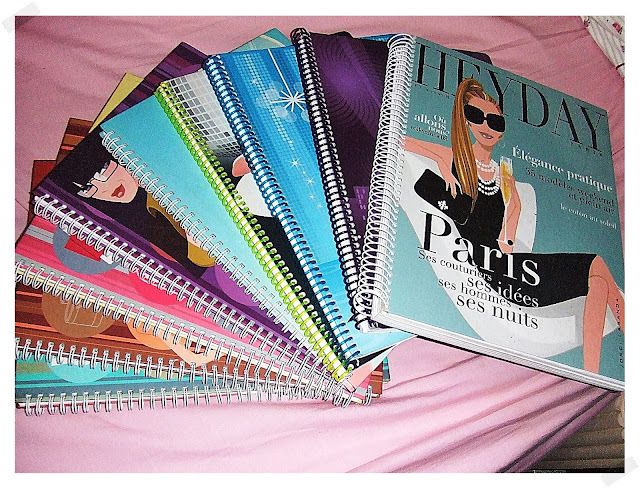 I pun collect notebooks yg cute ni gak! (Ada blog about it ms i mula2 i buat blog).Mine tak byk la..Baru ada 14-15 camtu.DamnnnThose cute & colourfull design mmg tak blh resist kn? Kat Forever21 pun ada tau. Bila I tengok all you stuff I teringat cerita "Legally Blonde".She so girlish yet stylish and brilliant!!!. i was in uia too...tgk ur schedule all memories flash back, hihi. through out my years there cume 2 kali jer, unavoidable i had a class at 2pm. huwaa...semua comel2! !All the best for this sem ye! I also love Jordi Labarda's notebooks. So stylish. Sometimes I beli for no reason. Saja suka2 nak beli hehehe. Btw, tolong kirim salam kat mana2 building cause I also studied at the same U as you. muka comel.. baju2 comel.. perangai comel..
happy commencing your new semester wani! kat mana u beli??? overseas??MPH?? i bought all these cute notebooks at MPH, popular, isetan, kinokuniya and Claire's(in Japan)..
and some of them are from Stila which of course, i got them for free!! yeayy kite ada persamaan. haha. i love jordi labanda's notebooks tooo! dan sangat suka mengumpul2 tapi tak pakai. hehehe. 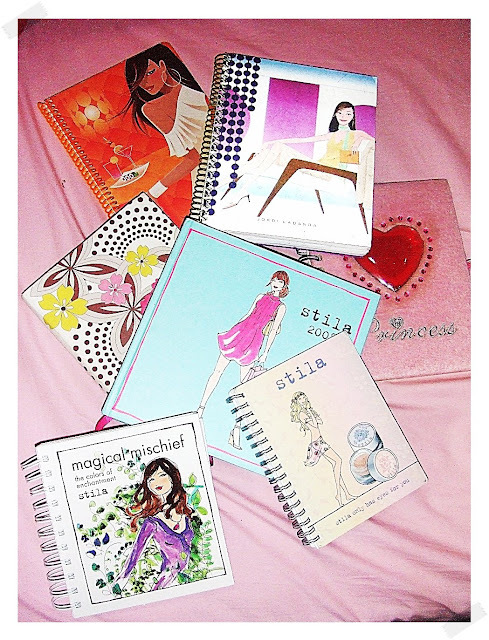 omg i love her notebooks too!!! i try to find it in MPH melaka..
seday....love at 1st sight with jordi labanda..